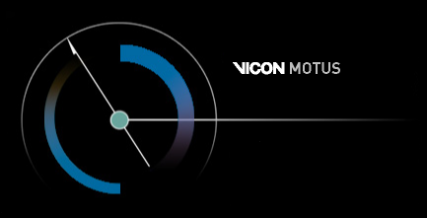 The Vicon Motus Motion Measuring System is a mature product. It has been marketed for years for biomechanical research and performance evaluation. It has demonstrated value and increasing use in medical settings and sports. Vicon Motus was formerly known as Peak Motus until 2005. In this year the system's creator, Peak Performance Inc. (USA), was acquired by Vicon (UK) and the Product Peak Motus was renamed to Vicon Motus. Founded in 1984, Peak Performance Technologies, Inc. developed the first computer- and video-based biomechanical analysis tool to help Olympic athletes improve their performance. The company based in Denver, Colorado, created the first software version - based on MS-DOS - and it has since expanded the use of its products beyond sports to a wide variety of applications including workplace design, risk assessment, risk prevention, tool design, ergonomic assessment, slips and falls, and more. In the year 1995 the world's leading biomechanics software Peak5 was replaced by a MS-Windows based software named Motus. For almost two decades Peak Motus has been the perfect research tool for studying the motion in workplace ergonomics, sports and science. It has combined leading-edge software and hardware technology into one complete package. Fully expandable to grow with your needs, it allowed simple collection and analysis of the most challenging movements, in any setting. No other movement measuring system has been more efficient, flexible, or easier to operate. In 2005 Peak Performance Inc. was acquired by Vicon and the software package Peak Motus 8 was updated to Vicon Motus 9. The name changed but the software itself has remained the same. For version 9 some additional hardware support was added. In the year 2012 Vicon has developed another update for the software: Vicon Motus 10 has been adapted to latest operating systems (Windows 7 and Windows 8). In addition, the sofware has been bundled with CONTEMPLAS TEMPLO, in order to take advantage of latest camera technologies.